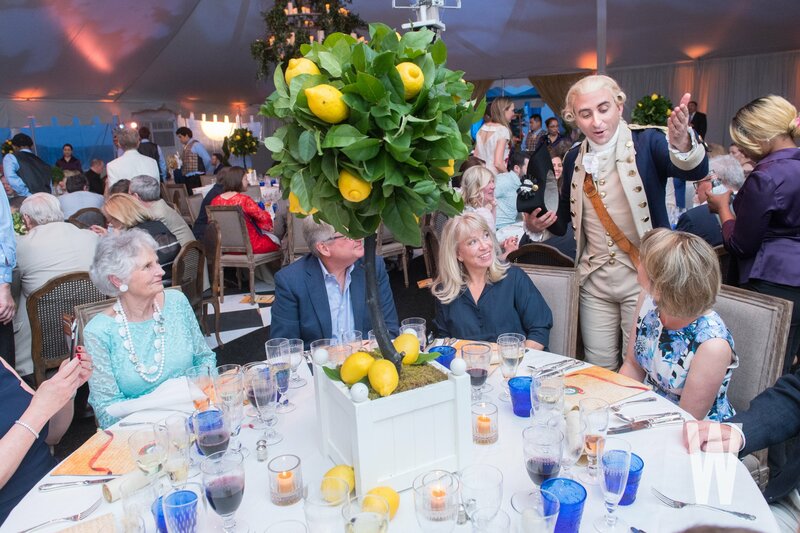 The head table at The Inn at Little Washington's 40th anniversary celebration at Mount Vernon. In 1749, a young George Washington surveyed a tiny town in the foothills of the Blue Ridge mountains which later became the eponymous “Little” Washington, Virginia. 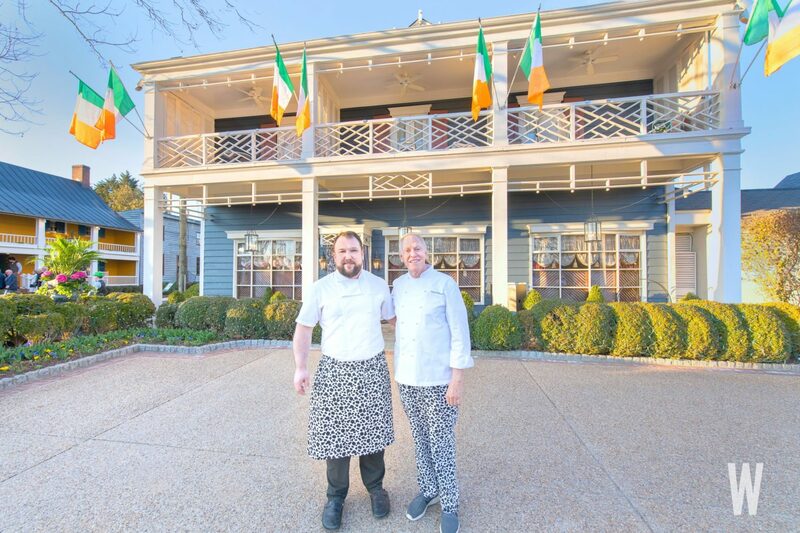 An equally youthful Patrick O’Connell set about putting his own mark on that same town more than 250 years later and The Inn at Little Washington served its first meal to the public on January 28th, 1978. 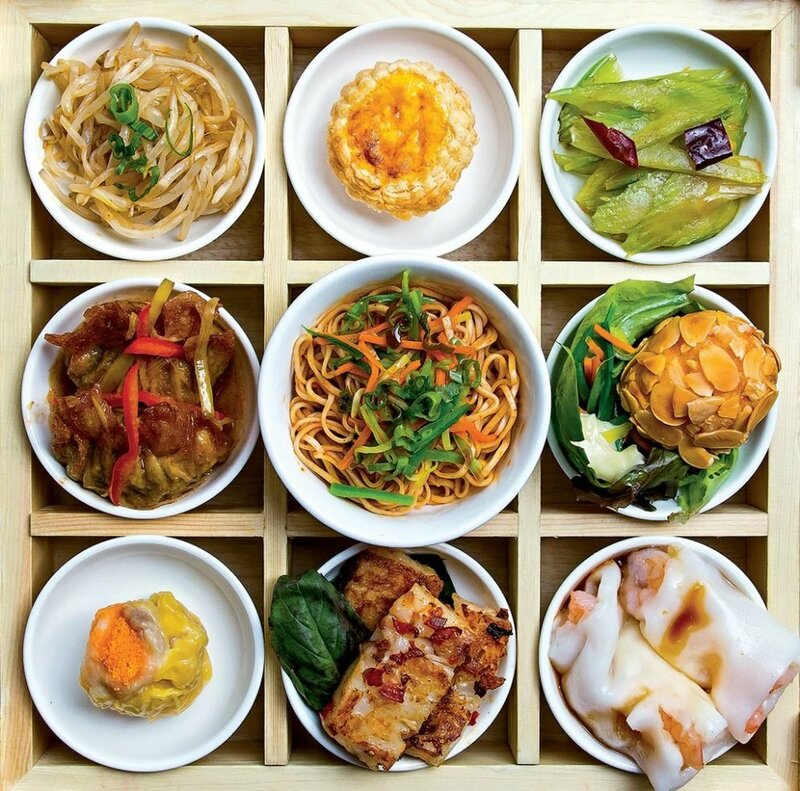 The rest, of course, is culinary history, with the Inn now ranked as one of the world’s top restaurants, boasting two coveted stars in the latest Michelin Guide. 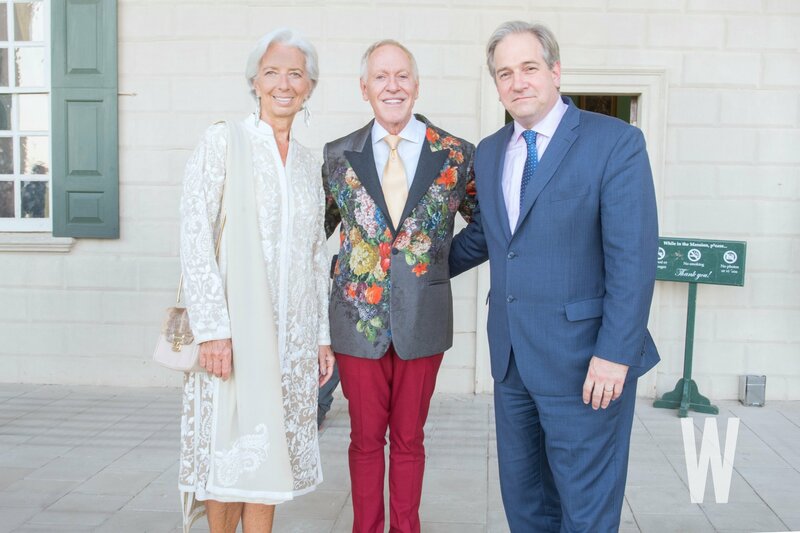 International Monetary Fund Managing Director Christine Lagarde, Inn at Little Washington’s Chef Patrick O’Connell, and Mount Vernon President and CEO Doug Bradburn. 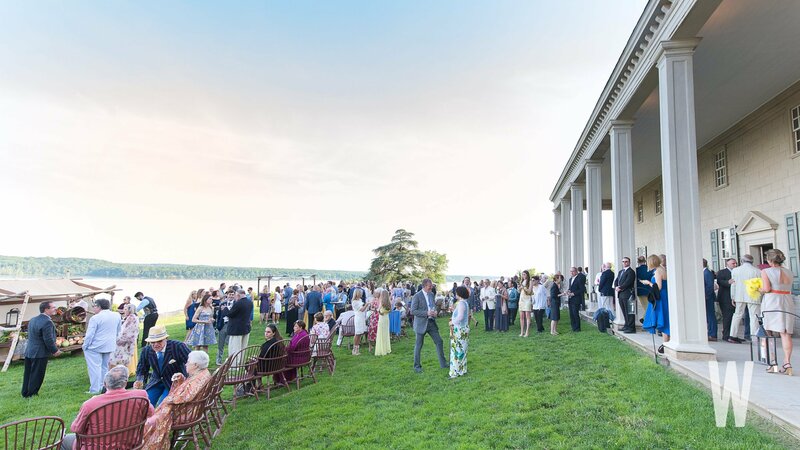 The evening began with an elegant garden party overlooking the Potomac river. 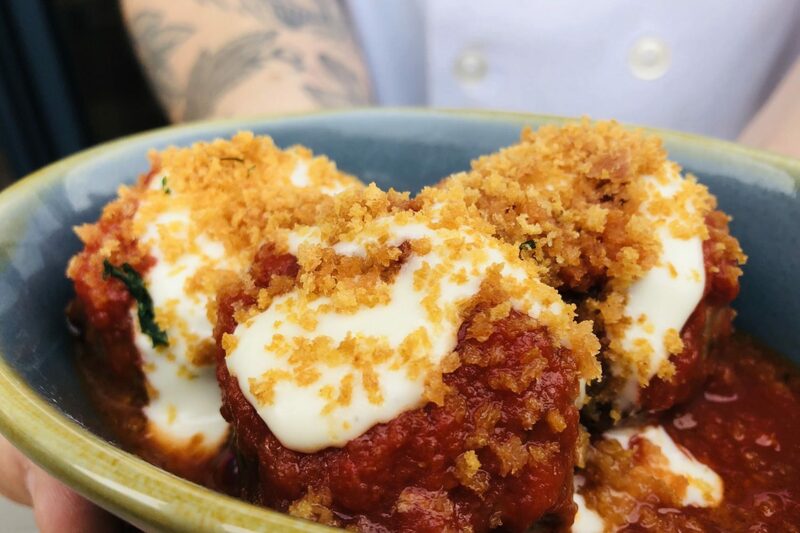 Saturday night, O’Connell paid tribute to the man who literally named the streets surrounding the Inn (Main, Middle and Gay) on which so many foodies have traveled over the years, as the second part in a series of 40th anniversary celebrations. With a degree of pageantry and luxury (Livery! Fifes and drums! 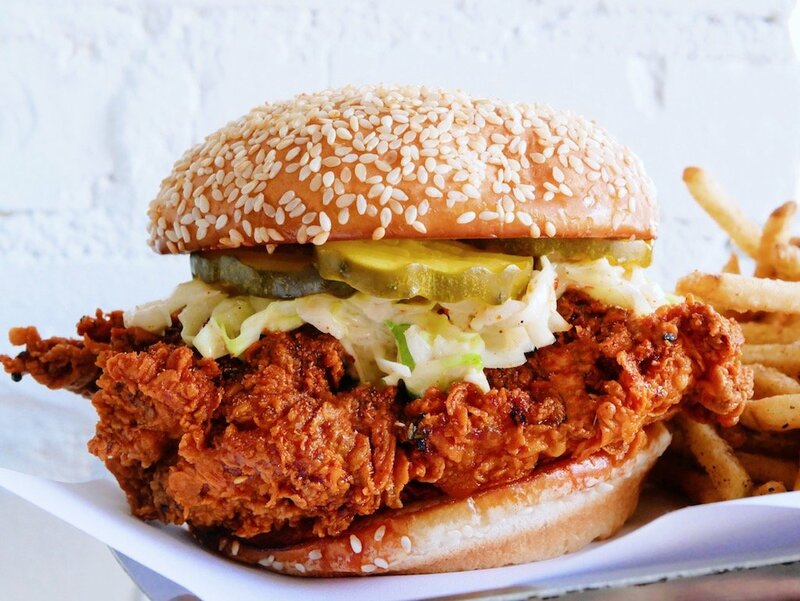 Caviar! Dom Pérignon! Fireworks!) 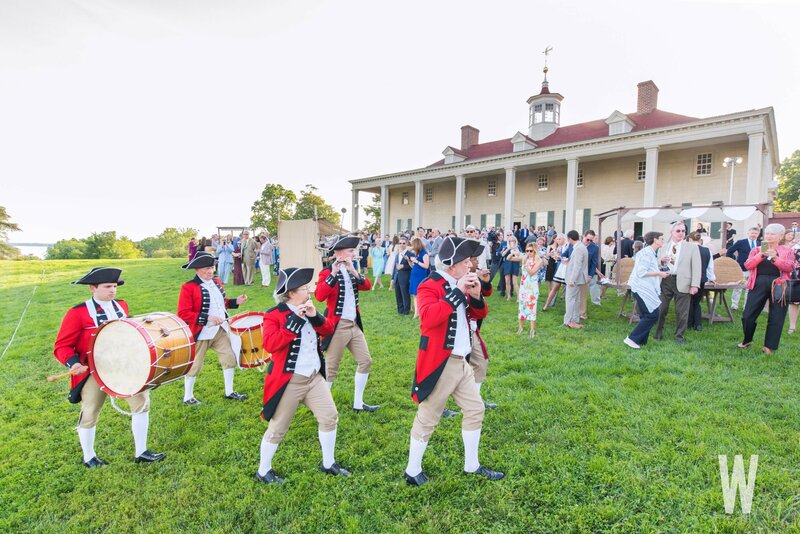 that one would expect from a man who insists a dining experience should feel operatic, O’Connell took command of the grounds surrounding George Washington’s Mount Vernon estate. 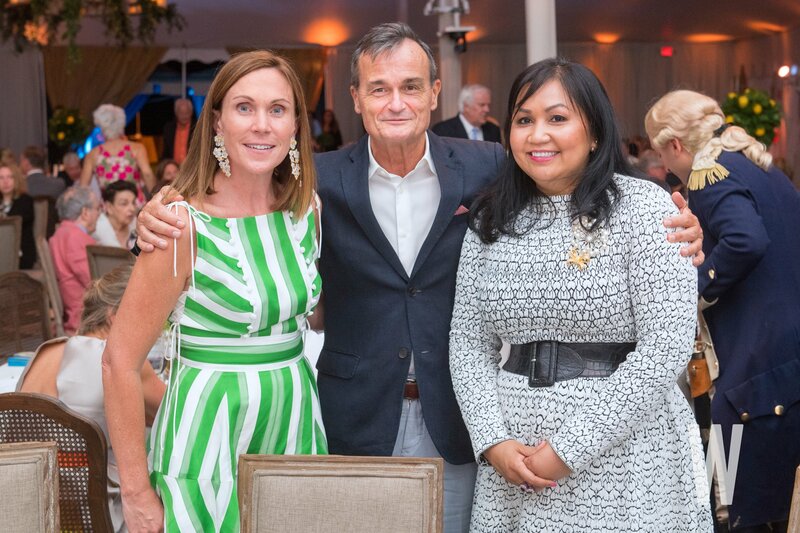 White House Social Secretary Rickie Niceta, French Ambassador Gérard Araud, and White House interior designer Tham Kannalikham. 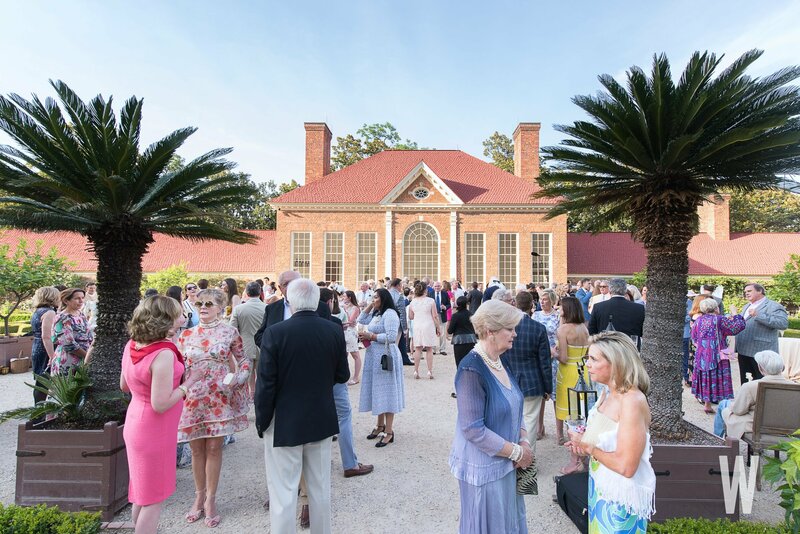 A special VIP reception was held in advance of the main party in the courtyard and gardens outside of Mount Vernon’s greenhouse. 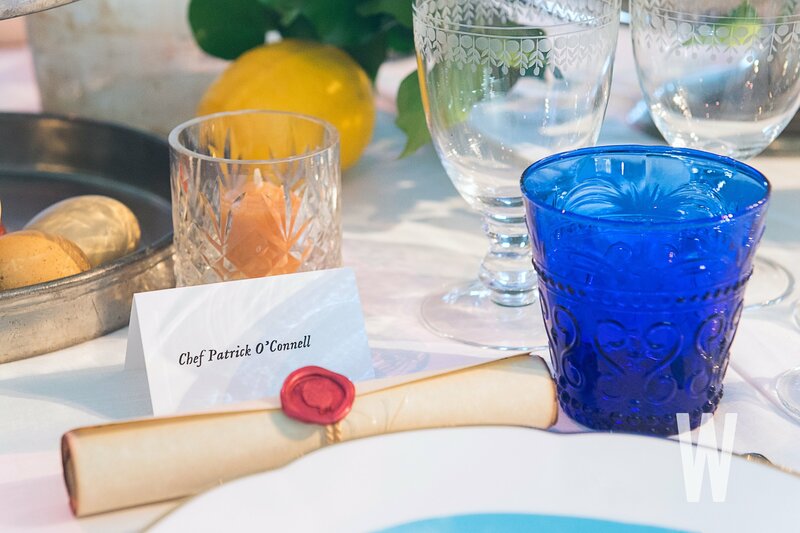 The goal of the evening was to recreate the experience of dining at the historic plantation house back in the 18th century, including a menu incorporating organic vegetables grown on the property, sour cherries from the Inn’s orchards, and regional Virginia cuisine. 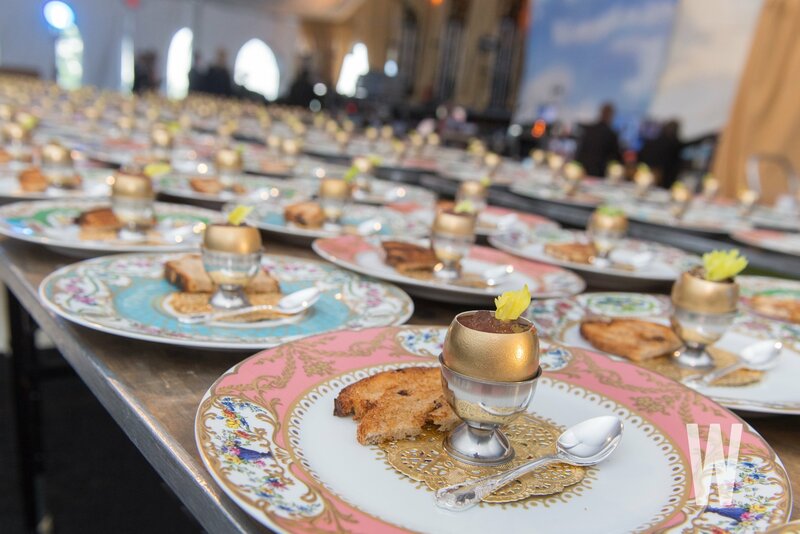 A Mousse of Duck Liver with Port Gelée and Rhubarb Jam in a Hen’s Egg was served as the first course, followed by a Sweet Maine Lobster in a Raft of Crisp Potatoes Afloat on Minted Pea Puree second, and a Poulet à la Crème à la Lafayette third. 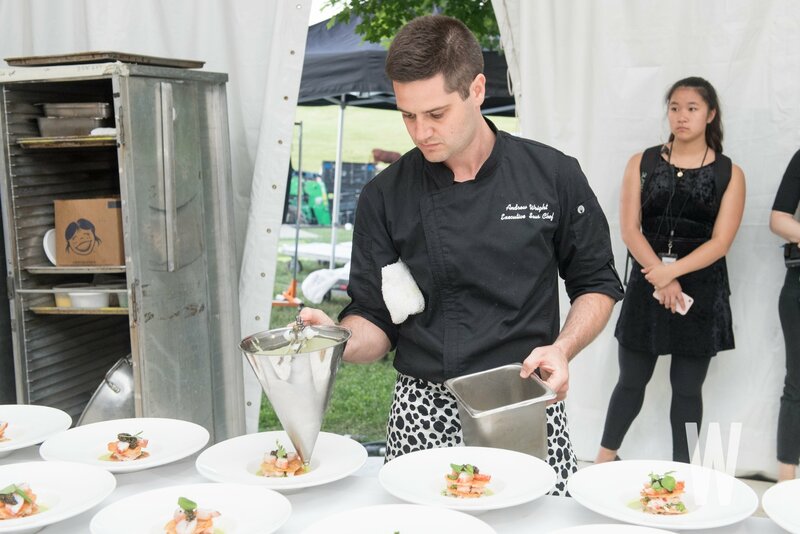 Dessert then consisted of a Lemon Posset at the table coupled with cheese and dessert “groaning boards” on the lawn, as guests enjoyed a special fireworks display over the Potomac. 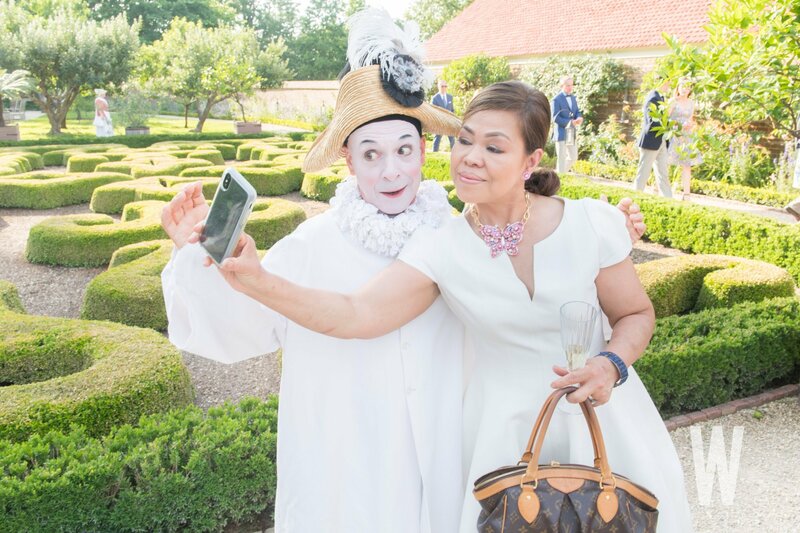 White House Executive Chef Cristeta Comerford poses for a humorous selfie with a mime artist enlisted to entertain guests for the occasion. 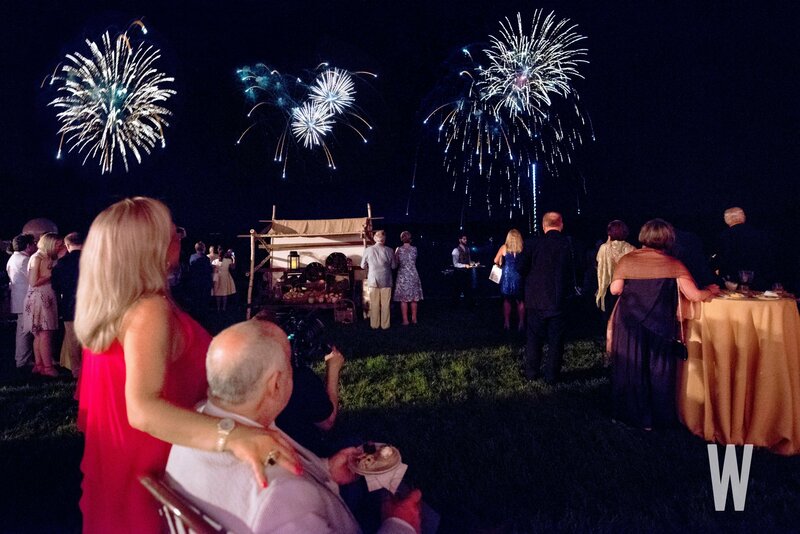 A special fireworks display served as a stunning conclusion to the celebration. 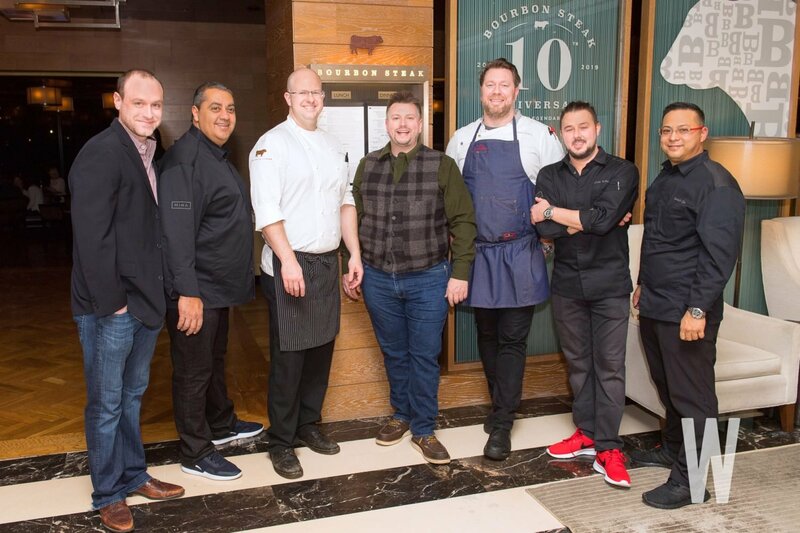 Saturday’s festivities also honored a group of culinary pioneers from across the country, much as the Inn did during its 30th anniversary. 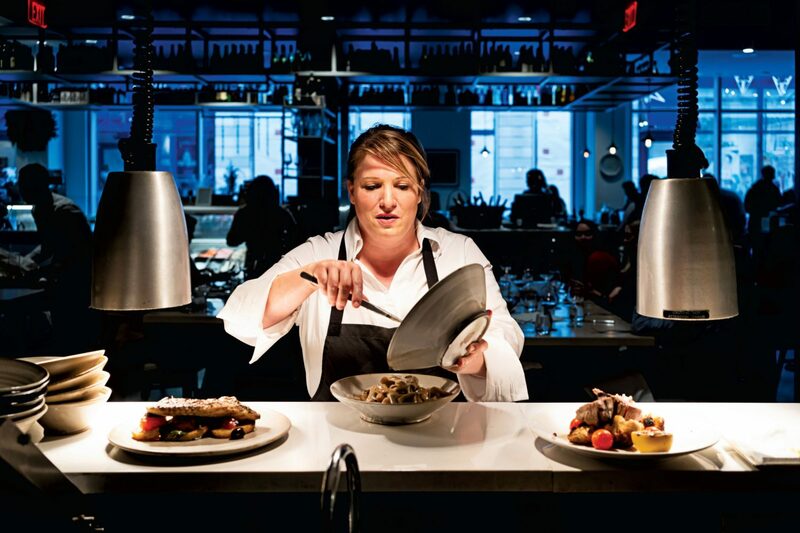 The 2018 award recipients were restaurateur and chef José Andrés, White House Executive Chef Cristeta Comerford, winemaker Gina Gallo, James Beard Award-winning authors Karen Page and Andrew Dornenburg, Culinary Institute of America President Tim Ryan, and Master Sommelier Larry Stone. 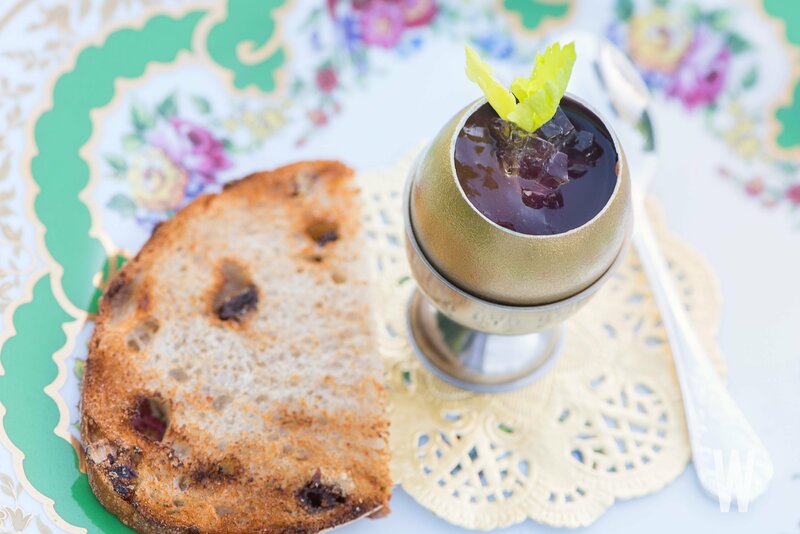 Mousse of Duck Liver with Port Gelée and Rhubarb Jam in a Hen’s Egg was served as the first course. 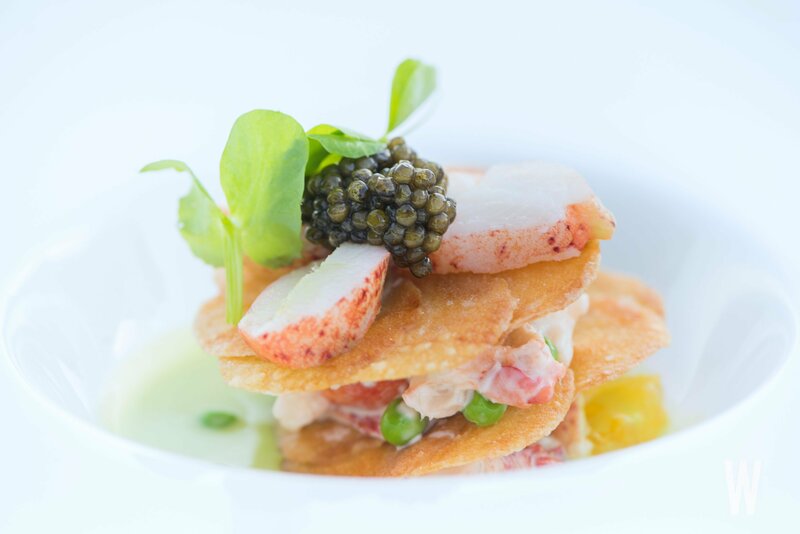 The second course featured Sweet Maine Lobster in a Raft of Crisp Potatoes Afloat on Minted Pea Puree. 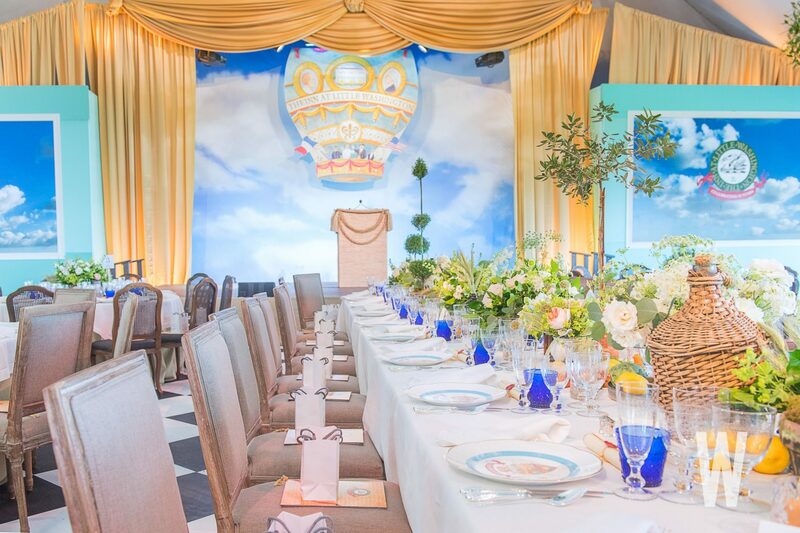 Beyond the universal theme of “A Magnificent Dream” highlighted by all of the Inn’s 40th anniversary events, this weekend’s party reminded guests of O’Connell’s US-French connection. 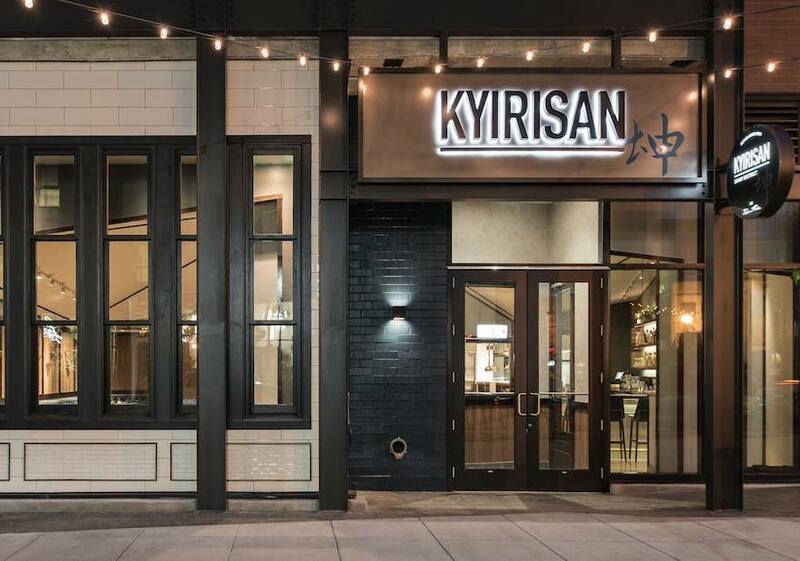 Indeed, his style of cuisine is rooted in the time he spent touring three Michelin-starred restaurants in France just after he first opened the Inn. 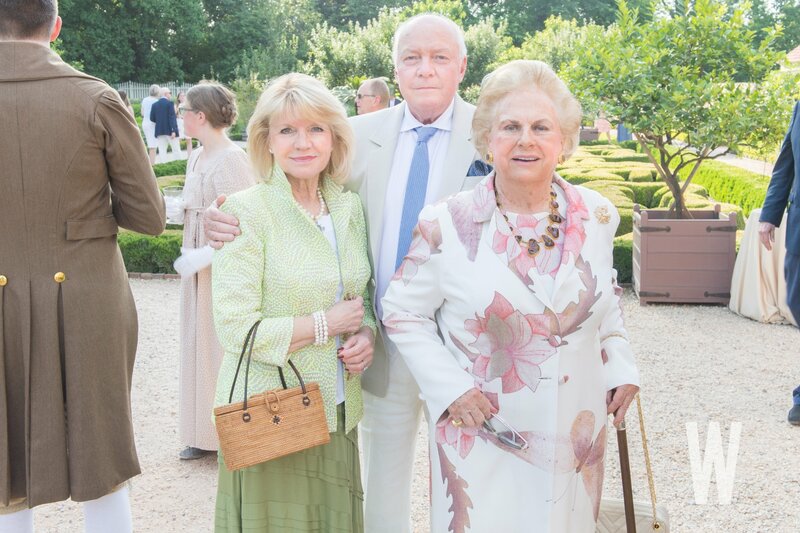 To such an end, French Ambassador Gérard Araud was invited to serve as honorary chair of the Mount Vernon celebration, with his counterpart in France, US Ambassador Jamie McCourt, serving in a similar capacity at the Inn’s final 2018 celebration in September at Chateaux Vaux-le-Vicomte. 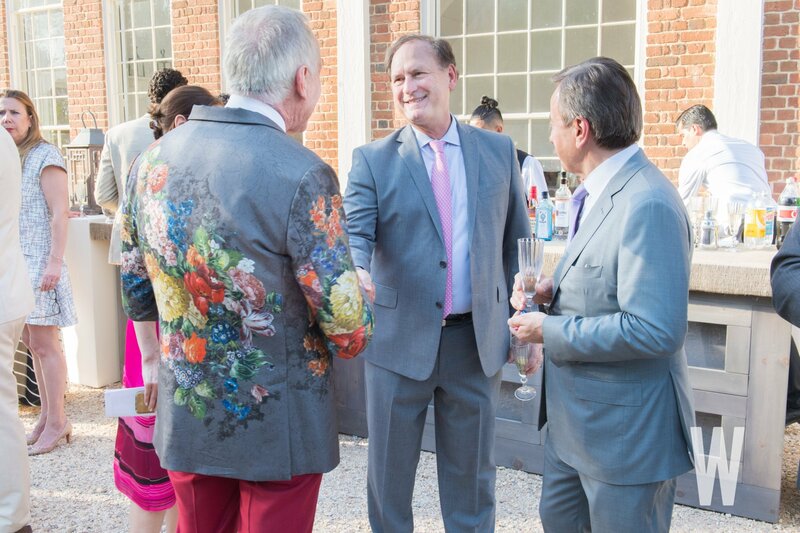 Associate Justice Samuel Alito greets Chef Patrick O’Connell. 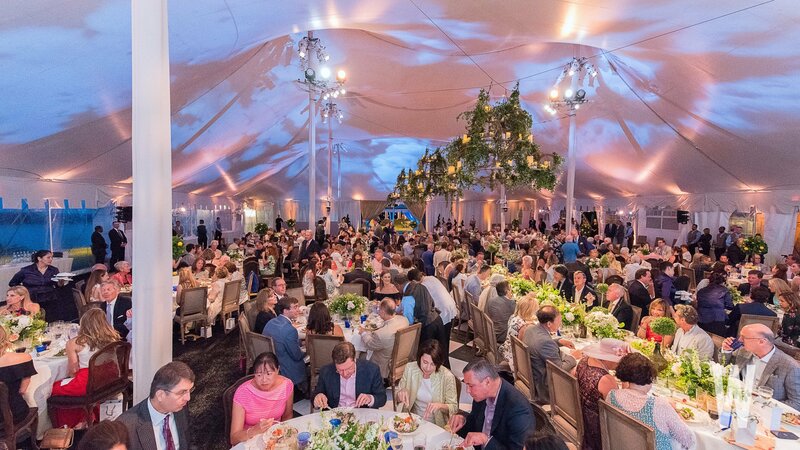 Dinner was held in a massive tent next to the mansion at Mount Vernon, with clouds projected onto the ceiling above. 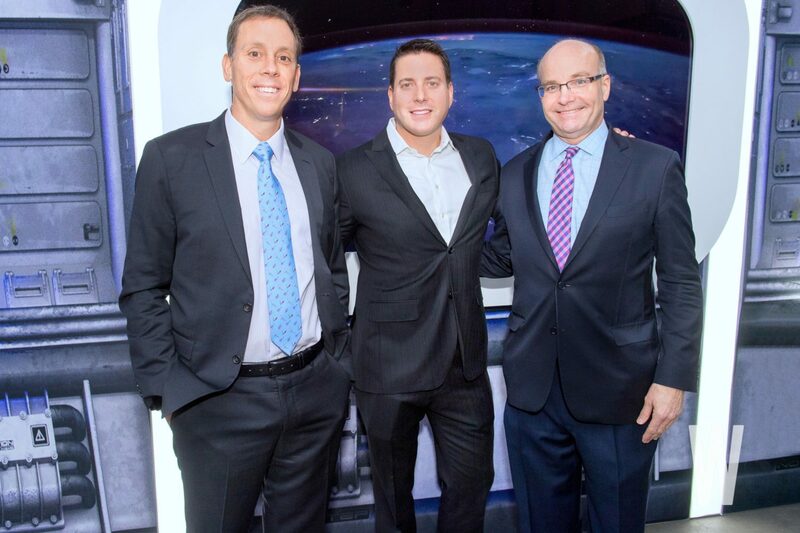 The guest list to Saturday’s dinner was fairly intimate given the thousands of celebrities, politicians, rock stars, diplomats, and business leaders who have frequented the Inn over the years. Spotted mingling in the crowd was International Monetary Fund Managing Director Christine Lagarde, Associate Justice Samuel Alito, White House Social Secretary Rickie Niceta, newly hired White House interior designer Tham Kannalikham, billionaire philanthropist Jacqueline Mars, and NBC News anchor Andrea Mitchell, among many of the Inn’s other regular patrons. Lena and Lennart Lundt and Mrs. Jaqueline Mars. 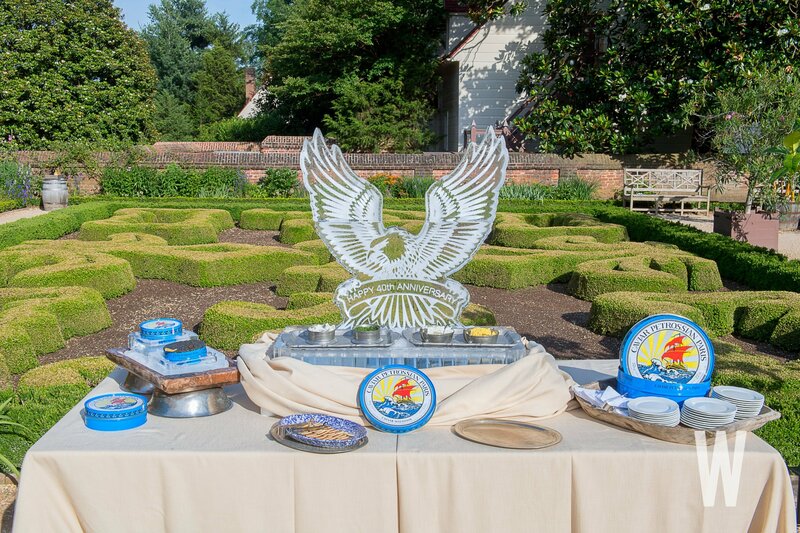 A commemorative ice sculpture and sumptuous caviar bar awaited guests at the VIP reception. 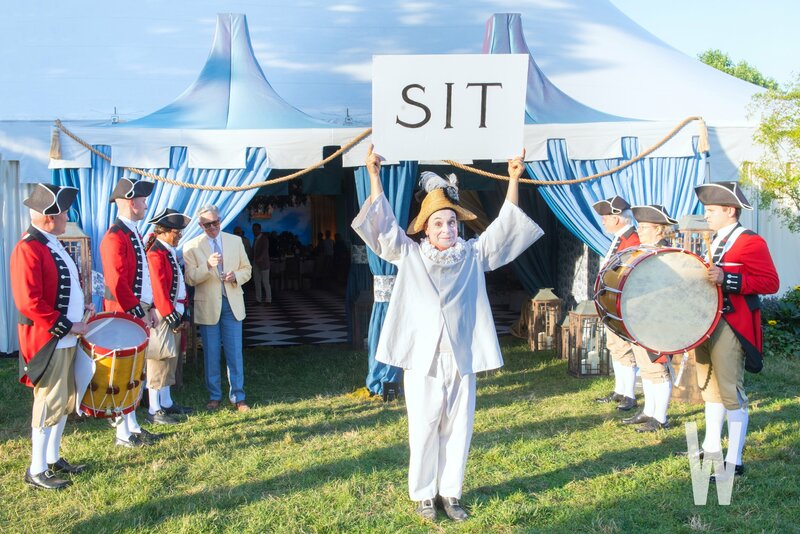 A fife and drum corps led guests into the dinner tent. 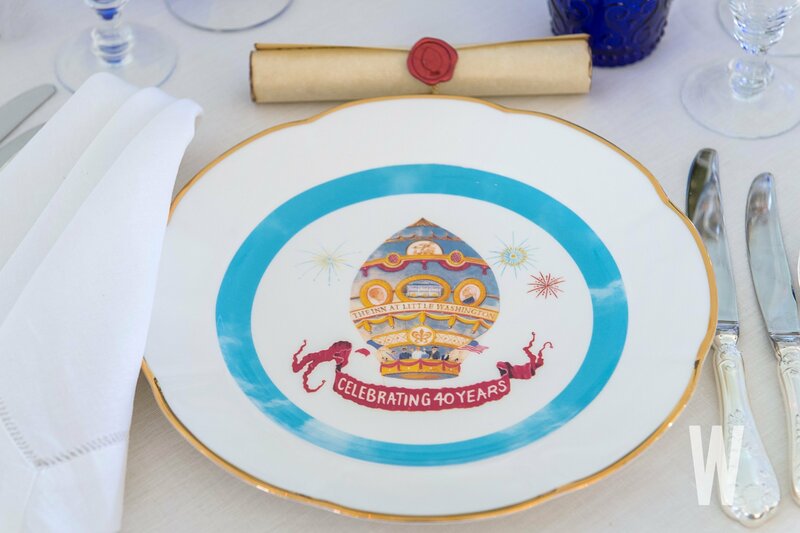 Commemorative 40th anniversary base plates greeted guests as they sat down to dinner. 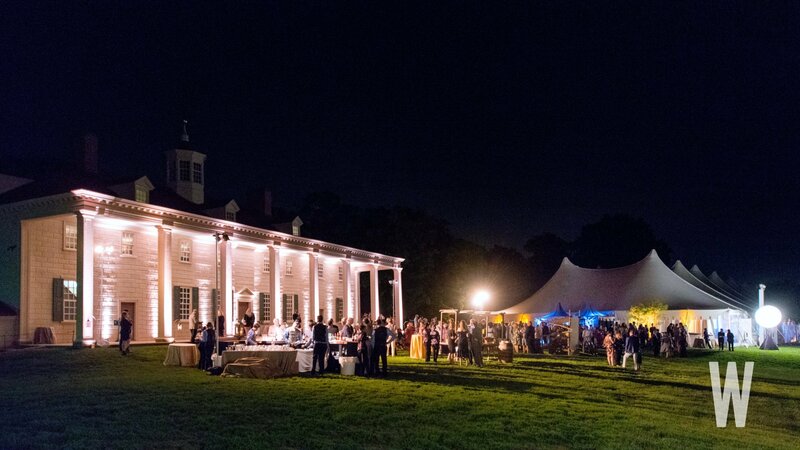 Post fireworks, guests enjoyed cocktails and cheese and dessert “groan boards” on Mount Vernon’s lawn. 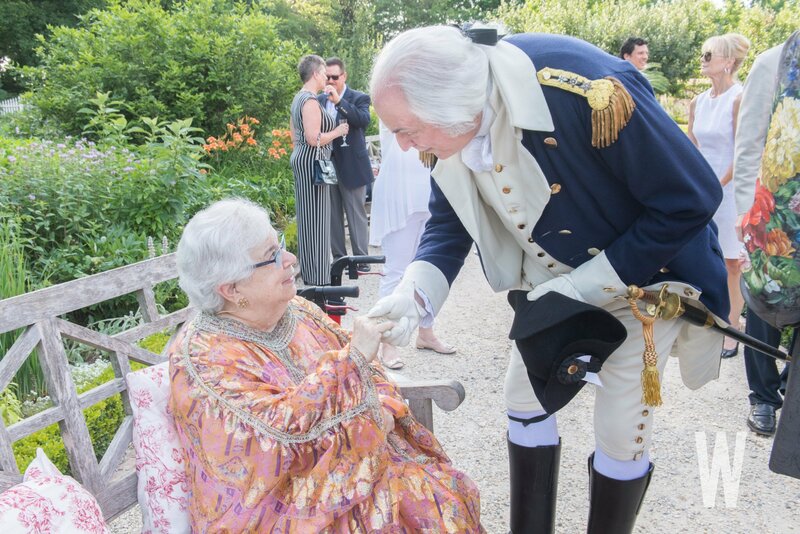 The Marquis de Lafayette chatted with guests during dinner. 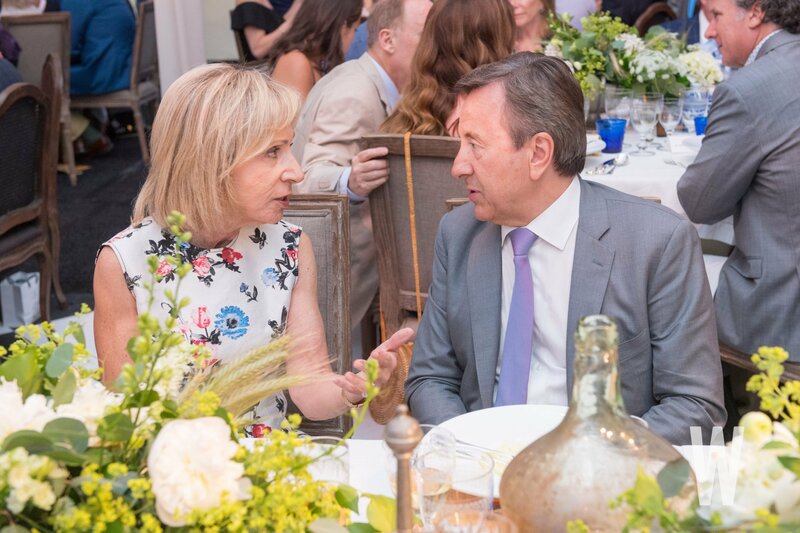 NBC News anchor Andrea Mitchell and famed chef and restaurateur Daniel Boulud. 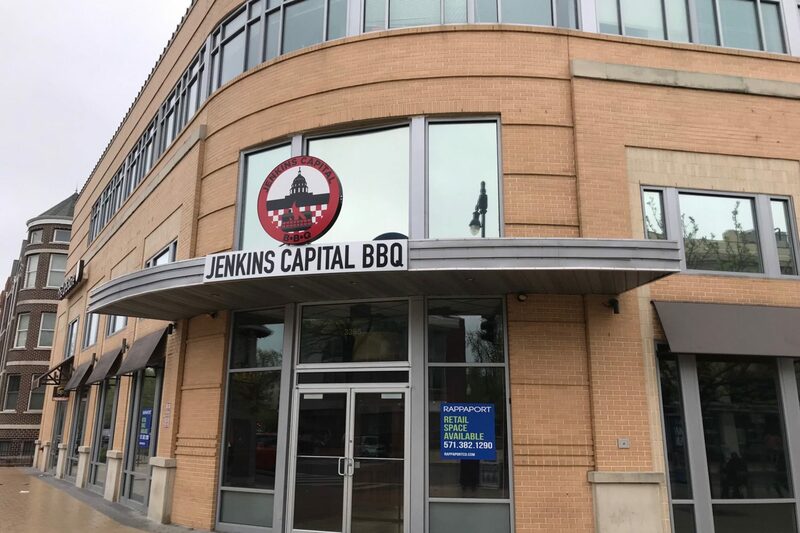 A humorous call to dinner! 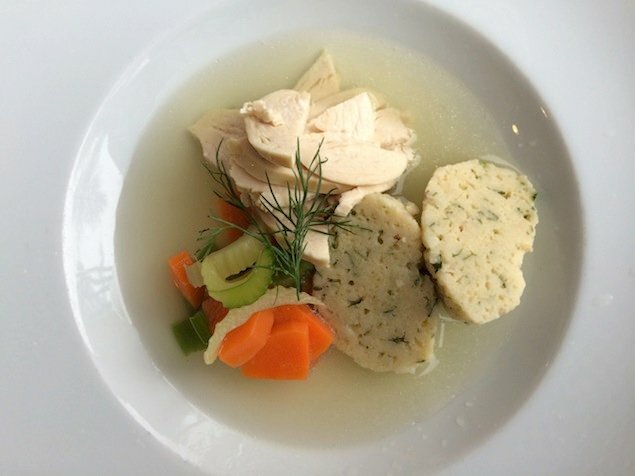 Behind the scenes as hundreds of plates are prepared for the dinner’s first course. 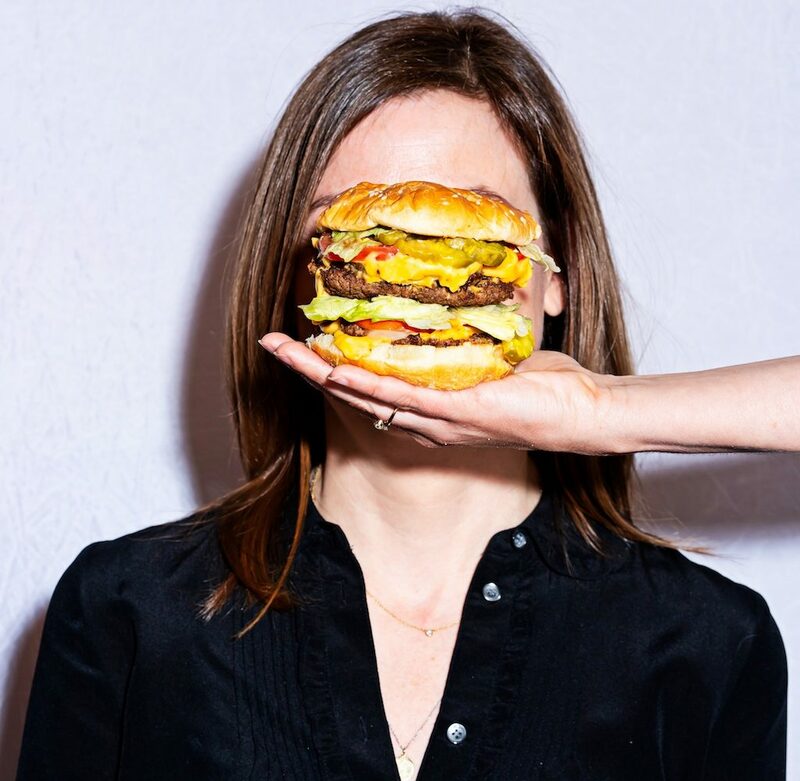 George Washington extends a hand to the Washington Post’s former food critic Phyllis Richman. 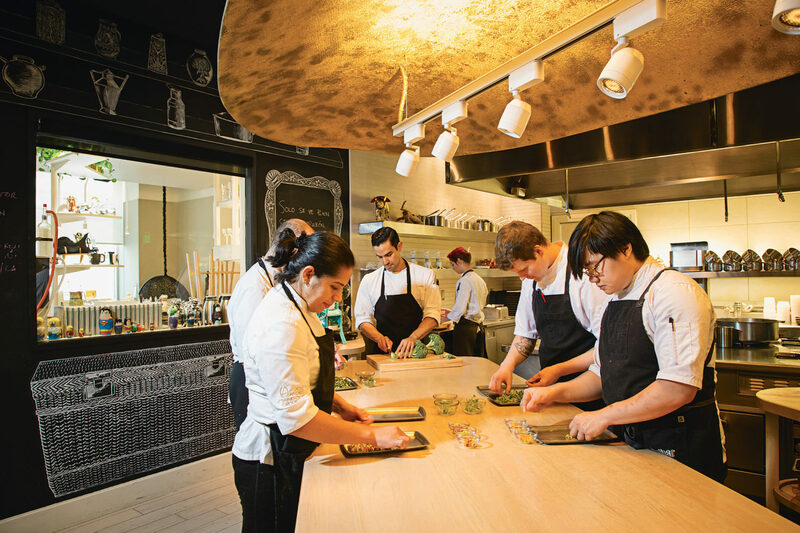 The Inn at Little Washington’s Executive Sous Chef Andrew Wright worked behind the scenes so that Chef Patrick could enjoy a night off. 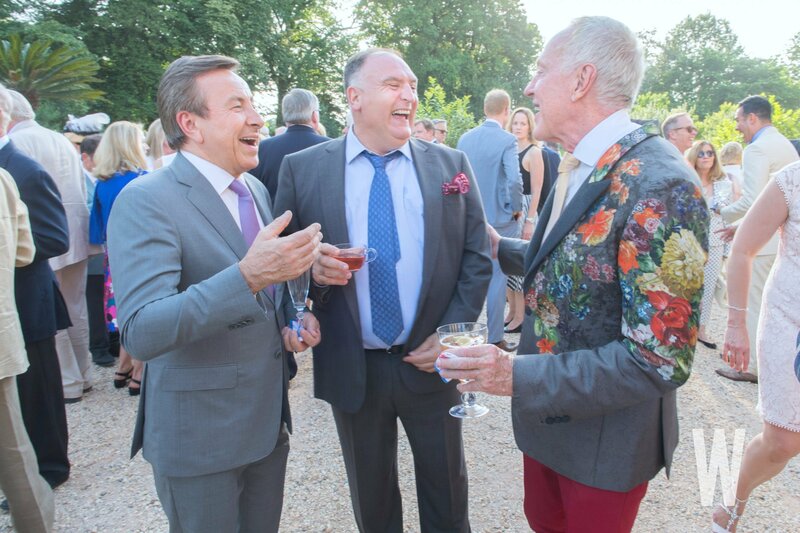 Chefs Daniel Boulud and José Andrés share a laugh with Chef Patrick O’Connell. 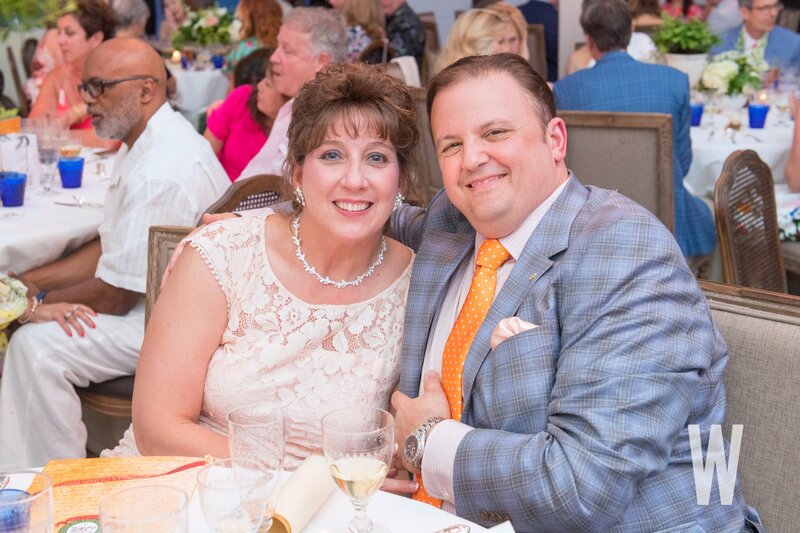 Sharon and Bob Fasce, Director of Business and Brand Development at The Inn.